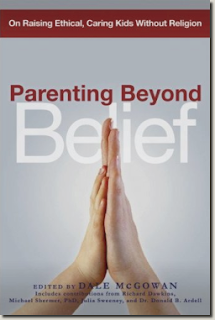 "Parenting Beyond Belief is the first comprehensive parenting book by a major publisher on raising children without religion"
So far, my favorite essays are by Penn Jillette (of Penn & Teller), Julia Sweeney (formerly, of SNL) and Richard Dawkins (most recently, of The God Delusion). The latter is a reprint of my favorite piece from A Devil's Chaplain, called Good And Bad Reasons For Believing. This is an open letter that Dawkins wrote to his 10-year-old daughter on the nature of evidence and belief. I am moved everytime I read it. Do you know if any of the essays deal with families where one parent is an atheist or agnostic, and the other is a believer? Indeed, Chapter 2 is called "Living with religion"; the first essay is entitled "Parenting in a secular/religous marriage" by Pete Warnick. It's a commentary about his life as an atheist husband married to a Catholic wife. I found his essay to be really uplifting. He takes a very practical stance on what is neccessary to cooperate and get on with life, in particular, the important job of raising a kid. I'm an agnostic and my wife is a Southern Baptist, and we never had any problems with religion. Our two daughters attended church with their mother, but I reserved the right to answer their questions of me truthfully if asked (and they did). Other church members assumed we were divorced because I only showed up to the kiddie events. I also have fond memories of the deacons of the church paying me a visit when I was the only one home, and their look of surprise when I turned out not to be Catholic (which was their working hypothesis). I was raised without any religious backround although I was exposed to it. I do not find myself any less morally adept than the next person, or any more for that matter. 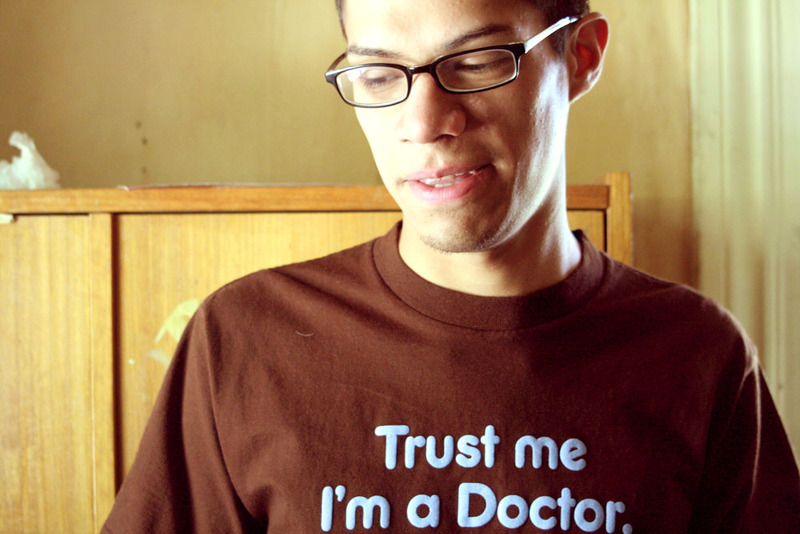 Although I do find myself more open to different points of view,and explanations (e.g. evolution) than the average religious person. Wow. How perfect. I was Catholic, my wife converted to Catholicism after we were married, and now I've... deconverted, I guess is the right word. We have a four year old daughter. I think I need to read this book.